Just a quick note to let you know that I am currently un-contactable by mail. Please drop me an email if you'd like to get in touch! Aah, the joys of country living. oh lordy! They grow em big in QLD! Argh you can keep that beast all to yourself! 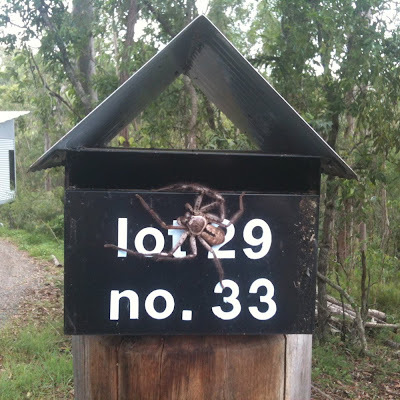 hope you didn't discover him half way into sticking your hand into the mail box! !